Described as a "companion" to E.P. Thompson's classic work The Making of the English Working Class, this is actually more of a series of essays around the changes that took place in rural and working class communities with the development of capitalism. As such it is very different to Making which had a much more coherent historical narrative and argument. Customs in Common's chapters tackle much more specific issues though this doesn't detract from a very well argument and fascinating book. Several of these essays have appeared elsewhere. Thompson's essay on Time, Work-Discipline and Industrial Capitalism is a justifiably frequently cited article that explores the nature of time and how it has been marshaled and organised as a result of the interests of developing industrial capitalism. In this, as in other articles, the reader is struck by Thompson's expert knowledge of sources and his expertise in a breadth of subjects. He moves from the Nuer (a Nilotic herding people who I have also noted had a very different attitude to 'time') to the history of clockwork, carrying the reader from one satisfying nugget of information to another while building up a powerful argument. His conclusion - that capitalism imposes a rigid structure of time on a population that had no previous need for it - should come as no surprise to the worker who has experienced the tyranny of the clocking in machine. Agrarian custom was never fact. It was ambiance. It may be best understood with the aid of Bourdieu's concept of 'habitus' - a lived environment comprised of practices, inherited expectations, rules which both determined limits to usages and disclosed possibilities, norms and sanctions both of law and neighbourhood pressures.... within this haitus all parties strobe to maximize their own advantages. Each encroached upon the usages of the others. The rich employed their riches, and all the institutions and awe of local authority. The middling farmers, or yeoman sort, influenced local courts and sought to write stricter by-laws as hedges against both large and petty encroachments [etc]... the peasantry and the poor employed stealth, a knowledge of every bush and by-way and the force of numbers. Such customs and lived experience involved everything from the expectations that people had from landowners and the wealthy, to the right to use land, or cut wood, or hunt animals. They were even, anticipating latter chapters in this book, concerned with how divorce took place and the right of the collective to discipline those who had gone beyond reasonable perceived behaviour in the community. Two chapters deal with the question of Thompson's famous "moral economy". This is the idea that within struggle, collectives of the rural poor would try to impose a more moral and more rational economic reality on those that grew, traded and sold food and goods. In particular this takes place through the authors famous discussions on food riots. Space (and the current class struggle) precludes a detailed discussion of this here, but a highlight of this book is Thompson's defence of this thesis (and his arguments around the gender question in food riots) in a follow up chapter written years after the first, more famous article. Too few modern day socialists read E.P.Thompson's classic Making of the English Working Class and I would suggest new readers begin there. Fewer still read this lesser known book, but this collection of writings contain some powerful polemics, and some of the best researched history by a radical historian. Its also laced with wit and fire, with no fear of stepping into modern day critiques of nuclear weapons and Tory governments. For all these reasons I highly recommend it. Reading and reviewing books about the Holocaust is no easy matter. Christopher Browning's book is no exception. The material is horrific less because of gruesome detail and more because of the sheer scale of murder that takes place. Page after page, paragraph after paragraph mentions the deaths of thousands of people - Jews, Gypsies the mentally and physically disabled, Soviet prisoners of war, enemies of Hitlers' regime. Browning seeks to understand precisely how this could take place. How could a single state reach the stage where six million Jews were killed, and perhaps four million other in a mechanised, bureaucratic way way? The answer is not easy, and has many lessons for today. Browning argues early on in the book that Hitler and the Nazis did not begin with the concept of genocide - though its important to understand that they did not fear or oppose murder of their enemies on any scale. 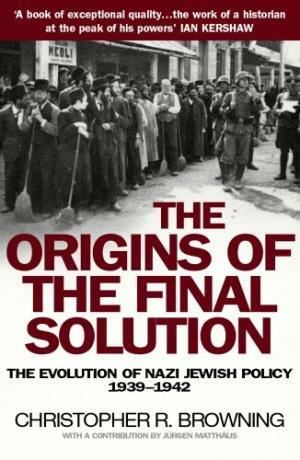 The Holocaust has its origins in both the fanatical anti-Semitism of the fascists and their belief in conquering and rebuilding Europe in the interests of the Nazi state. 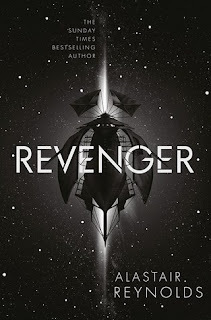 (This is something that has been also explored by Mark Mazower in his Hitlers' Empire, reviewed by me here). Hitler's belief in the need for German Lebensraum implied that the Nazis would construct an empire in Easter Europe analogous to what other European imperial powers had constructed overseas... this also meant that the Nazi regime stood ready to impose on conquered populations in Europe... the methods of rule and policies of population decimation that Europeans had hitherto inflicted only on conquered populations overseas. However the particular nature of Nazi colonialism, coloured by its violent anti-Semitism and racism meant this would inevitably lead to mass murder. The execution of Jews, prisoners and undesirables that accompanied the German army's entry in Poland and the German Wehrmacht's "feeble resistance to even the earliest manifestations of mass murder" permitted this. The extermination camp was not an accident. It did not result from some mysterious process of spontaneous generation. It was a horrific monument to the perpetrators' problem-solving abilities, but they needed lead time to invent and construct it. One aspect to this that I felt could have been developed further was an attempt to understand what led people to do this. Browning does explain the way that the particular nature of the Nazi state and its ideology helped legitimise murder, through its demonisation of Jews and others. But I think this is only part of the question - other aspects have to include the particularly brutal nature of the genocidal war on the Eastern Front, and, most importantly, that Hitler rose to power on the back of a mass movement aimed at destroying his enemies through a rhetoric of blaming Jewish-Bolshevism for Germany's economic problems. This created an mass layer in German society, won to the idea that Jews were the enemy, filled with racism and loyal to the regime. (I read this piece by Alex Callinicos at the same time and felt it helped fill in the gaps). It helps explain why Germany continued to fight for so longer after defeat was obvious, and it also makes us understand the particular nature of Nazi Germany that meant the Holocaust could take place. This isn't a pleasant book to read. But it is an important and carefully researched one. Every argument made by the author is backed by examples and reference. It will fill the reader with sadness and horror. But it will also make them keen to fight racism, bigotry and anti-Semitism today and to organise against the fresh appearance of fascist movements in the 21st century that would seek to emulate Hitler. vision of pastoral serenity conveniently ignored the harsher realities of day-to-day life on the land. It gave no indication of the long hours of drudging labour expected from most peasant cultivators or the feudal dues exacted from them by many landowners in Wordsworth's native Cumbria... This is rather a 'countryside of the mind' - a place of intellectual refuge - than one rooted in the reality of Georgian England. She continues by quoting W.J.Keith who highlighted that "it is no coincidence that the romantic cult of wild nature flourished just at the time when the Industrial Revolution was gaining momentum; the countryside is cherished only when it is seriously threatened - and it is cherished most by those who threaten it." What the reality was for the people of rural England is ably drawn out by Horn's writing as well as the many writers she quotes. Some of these are well known, Horn draws on William Cobbett's extensive writings about the people and places of England, as well as quotes from Charlotte Bronte and others to illustrate the class contradictions. But I was struck by the power of the quotes from ordinary people. Here's a section from a long quote by Joseph Mayett, a Buckinghamshire labourer who was demobilised from the army in 1815 at the age of 32. I gave up gathering rags and took to work for which I received 7 shillings per week to maintain me and my wife and bread was 3 shillings per loaf.. I was much distressed by the summer coming on I was soon relieved by an advance of wages but the harvest proved very wet so that I met with a disappoint[ment] by the great loss of time I sustained but after harvest I met with a place of work at the Esquire at 10 shillings per week and the price of bread was sunk to 2 shillings per loaf and by these means things of a temporal nature began to take a favourable turn... [but] in the month of January 1818 the esquire being gone out for a long time the baily took it upon himself to reduce the wages of me and several more of the men [who] had no children for he said a man without a family could live better upon 9 shilling per week than those that [had] Children could on 10 shilling but he required us to do as much work as they so in the month of March we all left. Here we see the lot of the labourer... bounced between employers who could change salaries on a whim, food prices that rose and fell dramatically and short term working opportunities, for low pay. It is no surprise that men life Mayett would riot, protest and destroy farm equipment in order to try and defend their jobs and wages. Horn does look at these protests (and there were significant ones such as the Captain Swing riots during the period covered). But her major focus is to try and get across the immense change that took place in the countryside in this period. As a result of enclosure and, in particular, of the post-[Napoleonic]war agricultural depression the number of small owner-occupiers had dwindled, and the tripartite system of land cultivation, comprising landlord, tenant-farmer and agricultural labourorer had become ever more firmly entrenched. the commons have been continuously reduced; thus the peasant can no longer have recourse to his own small supplies of meat, and having sold his strip of land is left with nothing but his two arms, which he now hires out. Thus, while Horn doesn't use the word particularly, this period sees the entrenchment of agricultural capitalism, and coming to dominance of urban industry in the British economy. The world had been transformed, and the rural population, rich and poor, but particularly the poor had been changed too. Horn's book is an excellent over-view of these changes, from the role of clergy to the laws on poaching, and the changes that hit the landowners. But her focus on those who worked the land is really key and is what makes this a lovely introduction to the subject and period. I've been writing a couple of pieces around the Diggers and the English Revolution recently and have taken the opportunity to delve deeply into the writings of one of the most remarkable radical thinkers that have ever been produced. Gerrard Winstanley is famous for being the leader of the Diggers who camped at St. George's Hill from April 1649 and later moved to Cobham in Surrey. 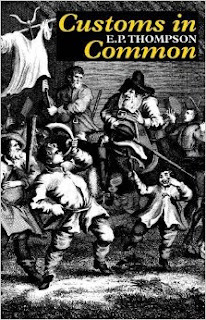 They were followed by a number of other camps as the English Revolution developed following the execution of Charles I. The particular conditions of the time - a desire for fundamental change, a frustration at the lack of action after Charles' death and a land and food shortage meant that Digging was not as surprising a reaction as might be expected. The camps didn't last - mostly as a result of repression - but they did serve as a minor experiment in revolutionary new ways of living. This collection of essays comes with an excellent introduction to the life and ideas of Gerrard Winstanley by the radical historian Christopher Hill. Since many of Winstanley's writings are available online, it would be worth searching out the book just for Hill's introduction. 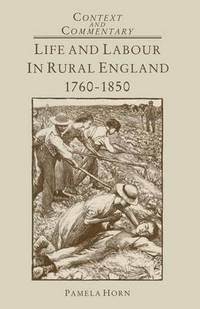 That said, however, the real pleasure in this volume is the remarkable writings of Winstanley himself. This is for two reasons. Firstly Winstanley writes beautifully. Much of his polemic is deeply immersed in biblical allusion and analysis. For those of us not well-versed in the Bible, this is a challenge, but as Hill himself points out, Winstanley can actually be read like you would read poetry. But even a passing understanding of the bible allows the reader to get a sense of Winstanley viewing his world, and his history through a radical religious reading that is fundamentally challenging the status quo. Winstanley didn't believe the bible was a literal work of history, but he did believe that God had created the world to be a common treasury for everyone. This arrangement had changed with the Fall of humanity, a fall that took place as individuals began to covert things and private property arose. For him, private property caused the fall of humanity, and led to war, jealousy and conflict. Thus the opposite was also true. A new world could be built, that would end private property and transform human relations. 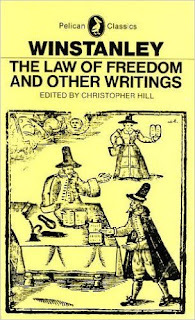 The biggest gem in this collection, and perhaps Winstanley's most fascinating work is the title piece, The Law of Freedom, in which a disappointed Winstanley, who has seen the end of his efforts to built a new world through exemplary farming of waste land, appeals to Cromwell to bring about the Commonwealth. Winstanley systematically describes the workings of his utopia, from the shared storehouses that take the surplus of production to distribute to everyone who needs it, to the postal system that will ensure the news of the realm is distributed everywhere and, perhaps most importantly, to the system of annual elections that ensure corruption of officials cannot take place. It's a fascinating vision of Utopia, which has some similarities to actually revolutionary changes, in others, such as its focus on the family unit of production and its absolute patriarchy, it is clearly born of the limitations of 17th century radical politics. That said, these writings are a fascinating read, and this collection is well worth hunting out. I'll link my forthcoming piece on Winstanley here on publication. 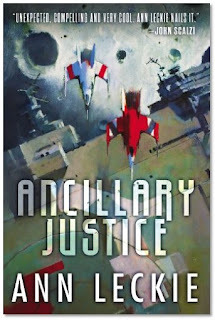 Ann Leckie's Ancillary Justice and its sequels have been showered with praise. They've won a bunch of rewards and rave reviews from almost everywhere. So I was disappointed to find that I found the first in the series very difficult. Part of the problem is that in sections of the books the characters are split into multiple persons. Each of these carries, and communicates with the others, yet retains an independence from the whole. It must have been hell to write, but its hell to follow. I'm wary of spoiling it for future readers, but I could not work out at points who was who. Leckie's ideas deserved better. The idea of a former Ship's AI, used to having sensory input from thousands of simultaneous sources and being simultaneously in numerous different locations, suddenly reduced to a single entity could have been brilliant. But I found the pacing, the characterisation and the dialogue wooden and unbelievable. 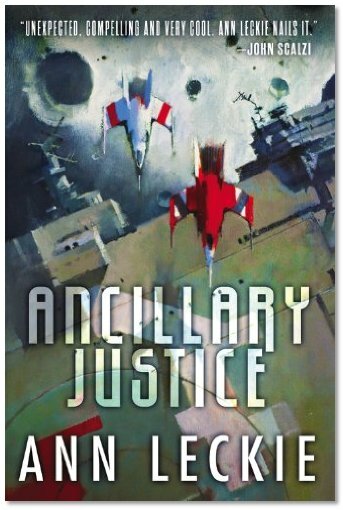 Clearly Ann Leckie has dozens of fans, but I almost gave up on several occasions, and I won't be getting hold of the sequels. 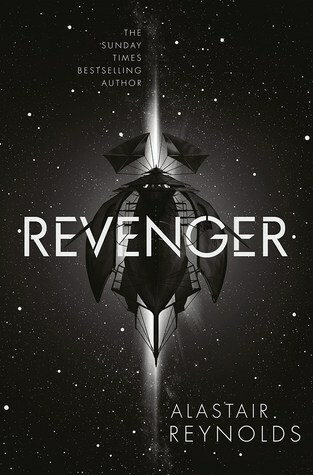 Nice cover art though. Over the last year I've reviewed a number of books that look at the impact of the transition from feudalism to capitalism on ordinary people. A number of these are well known works such as Christopher Hill's Liberty Against the Law or the more recent Rethinking the Industrial Revolution by Michael Zmolek. Chris Fisher's book is less well known and deals with a relatively small geographical area and an unusual set of economic circumstances. This however does not diminish its importance for those trying to understand the development of the capitalist mode of production, and in particular, what that meant for the rural population. 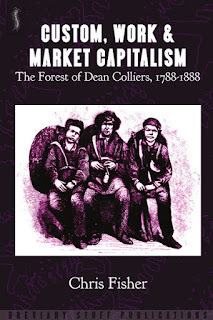 In the 17th and 18th century, the Free Miners of the Forest of Dean had, or believed they had, a set of rights handed down from the distant past, to use the forest and its natural resources for themselves. While they were coal miners, they also needed the wood from the forest for fuel and for the building of the mines and the land also provided food, grazing and other opportunities. In turn they paid taxes to the Crown for the right to work. The miners were fiercely protective of their situation. Those from outside the Forest were known as "foreigners" and could not easily become part of the mining community - having to serve a seven year apprenticeship unlike the two year term from those born in the Forest. The rights that they fought for were written down in the curiously named "Book of Dennis" from an inquisition in 1610 and listed "what the Customs and ffranchises hath been that were granted out of minde and after in tyme of the Excellent and redoubted Prince King Edward unto ye miners of the fforreste of Deane". It asserted the right to mine "every soyle of the King's of which it may be named and alsoe of all other folke without withsaying of any man". Other rights, such as the building of roads to facilitate this work were also listed. The free miners' rights were use rights not real estate: they accrued to individuals and were contingent upon birth in a defined area and work in the mines for a defined period. The individual who met those tests had the right to use the coal, to dig it up and sell it, but could not alienate the right from himself or transfer its benefits to others. A capitalist sinking a pit had no guarantee that someone else would not sink another so close to his own as to render both worthless. For foreigners and Crown alike it was desirable that the free miners' claim to an exclusive right to the coal be eliminated altogether. We no longer lay claim to his Majesty's timber or deer, nor do we attack and murder his keepers. The rising plantations grown unmolested and our neighbours' flocks graze around us unassailed. Many however did not agree to the changes and there was a long process of resistance. This included protests, petitions, riots and the pulling down of enclosures and fences. Some miners, Fisher points out, did want change and supported the building of railways to facilitate mining, others were violently opposed. One thing is particularly notable though. 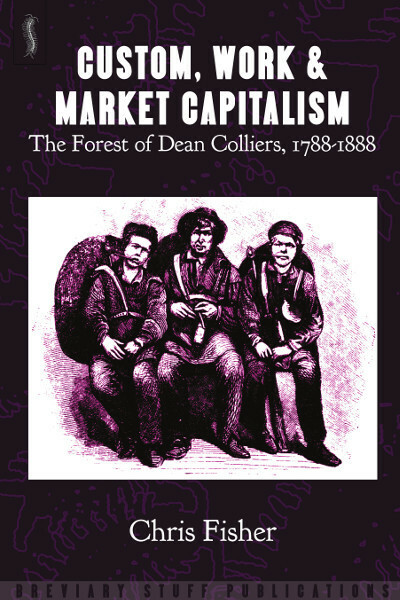 As capitalist methods of mining and employment increased within the Forest, anger at the consequences of wage slavery meant many saw the old rights in a new way, and began to struggle for their restitution. A major riot in 1831 for instance in the context of national struggles for reform, was "first and foremost, an attempt top reassert against the crown what the miners believed to be their rights in the Forest". A contemporary news report put it "the war word, as usual, is the restitution of rights, which the foresters complain have been wrested from them by the Crown". It would be misleading to see the process of change in the Forest as one in which a capitalist class of coal-owners, or a State servile to them, unilaterally, re-ordered affairs to their own advantage. The State had its own properties and interests to defend and they were separate from those of the [coal owners]. I think this is a misunderstanding of the role of the state in society. Instead the state is the embodiment of ruling class interests. This is not to say there is a clear set of priorities agreed by the whole ruling class, but that they do have a common interest. The destruction of rights and the creation of a system that facilitated profit was one that united the coal-owners and the Crown. The State was not a separate entity balancing this with the interests of the miners, rather it ruthlessly helped drive the change through. Over time this changes, and some miners' may have bought into the new order out of frustration with the status quo, or a desire to improve their lot. Fisher highlights the changes "The Earlier quarrel was about which principles should govern the ownership and exchange of properties. The later was about the distribution of property and profits". Fisher is absolutely right to conclude however, that whatever the basis for some of the changes the ordinary people felt they were being robbed, and were prepared to resist. This "gave a force to talk about working-men's representation and about the inequalities of British society which might not otherwise have been made". The struggle to defend customary rights illuminates to aspects to the history of capitalist development. It shows the very different ways that pre-capitalist society could organise, and how the new order would drive through change in the interests of a new, minority class. These changes came as a major shock to the mass of ordinary people who, as in the case of the Forest of Dean colliers, often reached back into their own histories and their own interpretation of their rights for ammunition to resist. Thus these struggles were simultaneously about shaping the new order, while looking backwards. But things could never be return to how they were, though the future could be written in new ways. Chris Fisher's book is a detailed look at a near forgotten part of that history. Its focus on a small part of British geography and history, in a unusual set of circumstances, actually illuminates wider changes. It is to be recommended to those trying to understand what capitalism has done to our communities and how our ancestors resisted.